NSLAPR’s Imaging and Preservation Services (IPS) provides high-quality document and image scanning, and microfilm capture of essential organizational records of current and enduring value. IPS offers at cost, not for profit, competitive rates, when compared to other commercial services and passes that savings onto your agency. Imaging and Preservation Services (IPS) is committed to providing cost-effective and efficient imaging solutions to state, local, and municipal governments. IPS strives to satisfy the growing imaging needs of all governmental organizations within the State of Nevada. IPS operates in compliance with Nevada Revised Statute (NRS 239) and industry best practices established by professional organizations such as the American National Standards Institute (ANSI), Association of Records Management & Administration, International (ARMA) and the International Organization for Standardization (ISO). 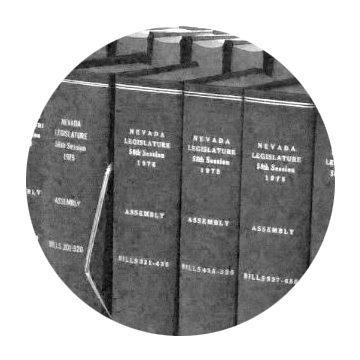 Striving to make the records access and preservation process better, through record digitization, microfilm preservation and high-quality large format printing, for all governmental organization in the State of Nevada. If you are unsure if your agency is a new or existing customer, please contact us. IPS’ services are available to all State, local and municipal government agencies, including legislative and judicial branches at all governmental levels. Our services are not available to the general public or private businesses. IPS staff provide consultation services to help determine which serivce is right for your agency or project. 1 banker’s box of records in good condition will take approximately 5 working days to scan, index and quality check. That means, 8 banker’s boxes will take approximately 2 months to complete. 1 roll of microfilm takes approximately 1 working day to scan, index and quality check. That means, 20 rolls of film will take approximately 1 month to complete. 1 roll of micofilm takes approximately 2 working days to prepare, capture, process and quality check. That means, 10 rolls of film will take approximately 1 month to complete. Although records are moving faster into the digital world, microfilm is a valuable long-term preservation tool. When properly stored, microfilm can last between 50 to 500 years. Microfilm provides cost savings as well. Converting paper records to microfilm saves you up to 98% of the total required storage space, saving you money on rent or other storage costs. Which Records Should be Microfilmed? Records that are expected to be retained for 10 years or more should be microfilmed. If you are a State agency, please refer to the General Retention Schedule or the Retention Schedule specific to your agency. If you are a Local agency, please refer to the Local Government Records Retention Schedule provide by the State. How Do I Contact IPS?